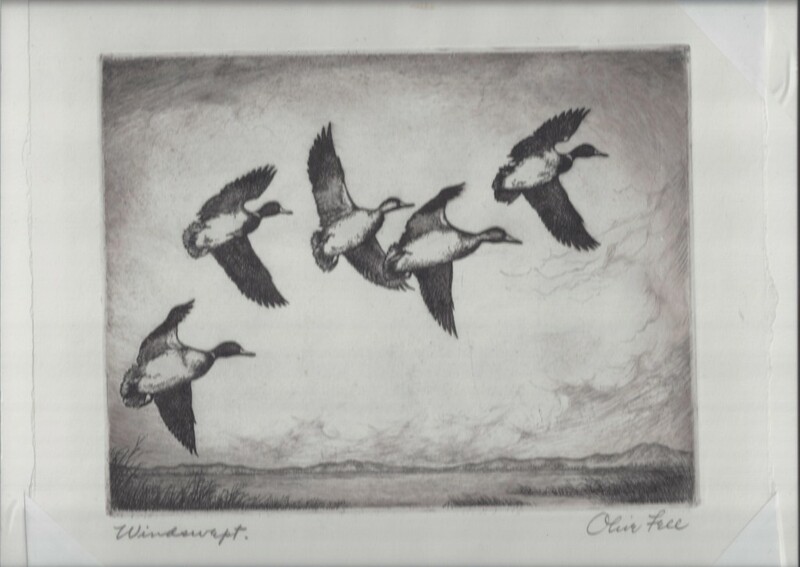 Lovely Olive Fell (1896-1980) signed etching of 5 ducks flying off water. Fell was an artist and print-maker from Cody, WY. She won several printmaking awards from prestigious societies for her works, which largely consisted of wildlife and landscapes of the Yellowstone region. This piece is ready for framing, and measures 9" in length by 7" in width.